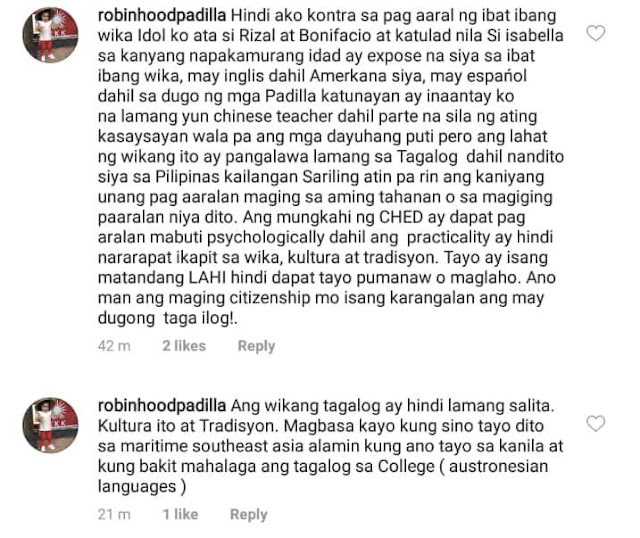 The issue of removing the Filipino subject in college curriculums here in the Philippines has been a hot topic for the last few days. Apparently, it is proposed that Filipino subject will be removed since the purpose of K-12 education is to eliminate the basic subjects during college. Not everyone is happy about the decision of the Supreme Court, one of them is actor and known crusader of truth and injustice in social media, Robin Padilla. 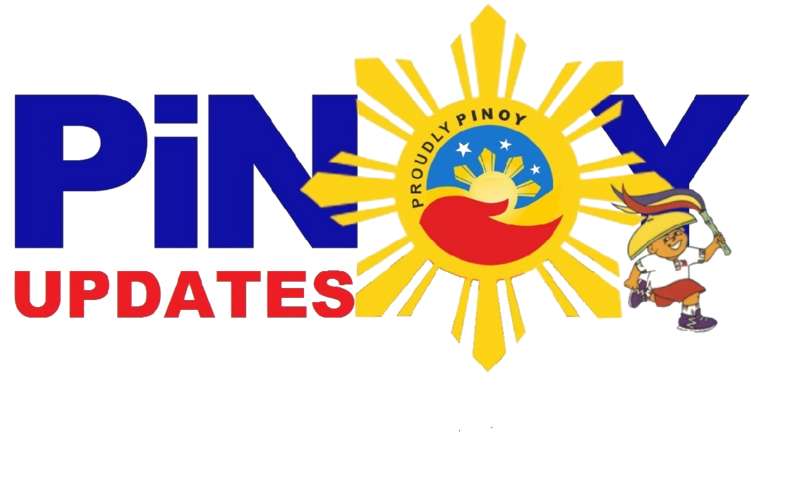 Padilla emphasized that the Filipino language is very important to be possessed by every Filipino because this is who we are as an individual. It is something that should be treasured and everyone should be proud of. 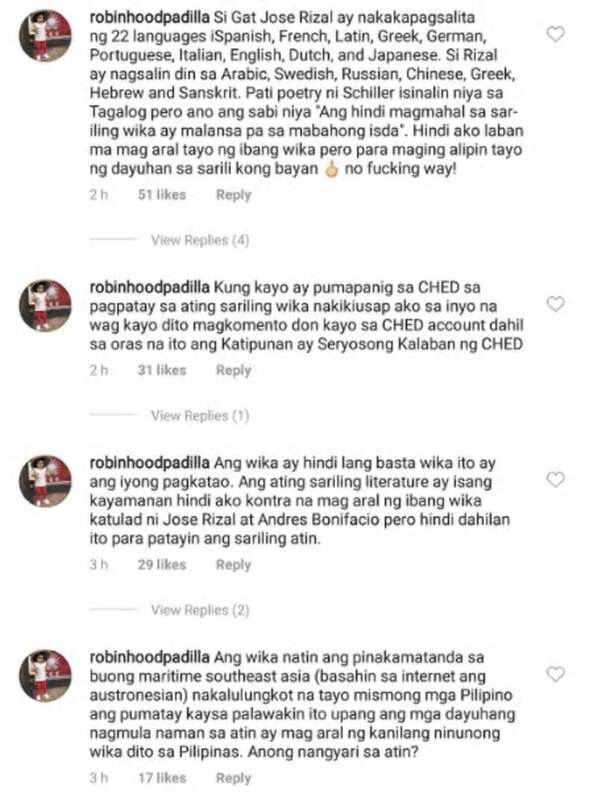 "Ang wika ay hindi lang basta wika ito ay ang iyong pagkatao. Ang ating sariling literature ay isang kayamanan." He also added that he is not against anyone who wishes to study and speak many languages. He even stated National Heroes Jose Rizal and Andres Bonifacio because they spoke several languages, but they never forgot to be proud of their own. "Hindi ako laban na mag aral tayo ng ibang wika pero para maging alipin tayo ng dayuhan sa sarili kong bayan no f@!#$ way!" 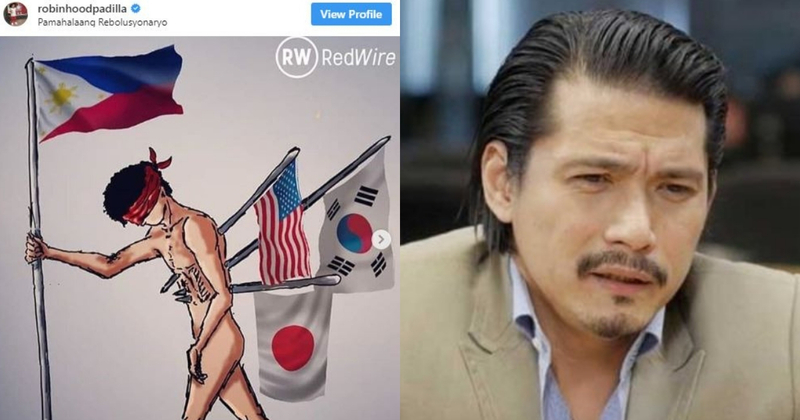 "Hindi ako kontra na magaral ng ibang wika katulad ni Jose Rizal at Andres Binifacio pero hindi dahilan ito para patayin ang sariling atin,"